Would you agree that our world could use a lot more kindness? Why not start with yourself? Being kind isn’t always easy, especially when you encounter people who are rude and don’t care. 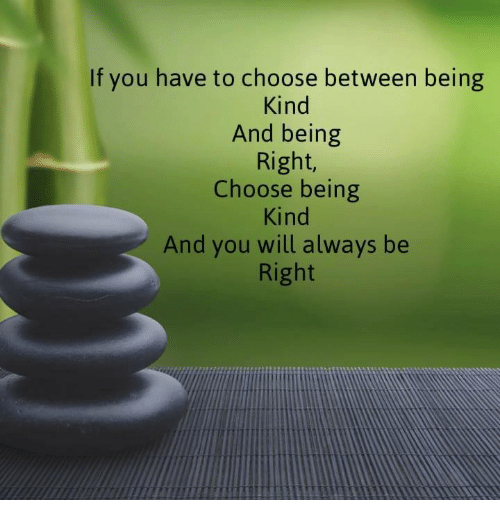 Why should you be kind if the other person isn’t? Good question and here is my response. Why focus on how bad the world is if you can spread kind behaviour and a kind attitude wherever you go? I encourage you to be kind as it will make life a lot easier – your life and the lives of the people around you. You can be a great role model for your family, your children, your friends, your co-workers, your team members, your neighbours and even for strangers if you choose to be. Today I want to share a story that really made me rethink my approach to life in general a few years ago. I hope it does the same for you. “When I was young and free my imagination had no limits, I dreamed I could change the world. As I grew older and wiser, I realised the world would not change. And I decided to shorten my sights somewhat and change only my country. As I entered my twighlight years, in one last desperate attempt, I sought to change only my family, those closest to me; but alas they would have none of it.